Security researcher claims he's managed to jailbreak Apple's iOS 5.1.1 update on the new iPad 3 and releases a picture to prove it - but is it real? Following the news that security researcher Pod2g managed to jailbreak Apple's iOS 5 software update, iOS 5.1 on the new iPad (video below), another security expert, Stefan Essar, has claimed that he's jailbroken iOS 5.1.1 on the third-generation slate. "Ohhh no while I was sleeping my girlfriend accidentally upgraded my iPad 3 to iOS 5.1.1," he Tweeted, along with this photo of his iPad running Cydia - the alternative to Apple's App store on iOS jailbreak. However, Essar claims he's no plans to release it to the public just yet, the iOS blog iPhonehacks reports. 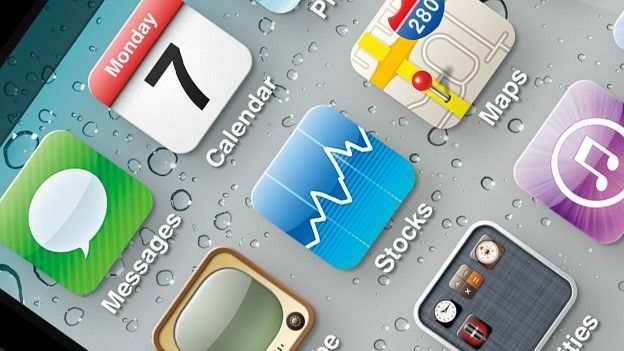 Jailbreaking - the process of removing the restrictions on iOS set by Apple - allows users to download material such as apps and themes that aren't yet ready on the App Store. However, with Apple constantly changing the structural design of their chips, hackers are finding it increasingly difficult to jailbreak the Californian company's software updates. As a result, Pod2g has warned users running a jailbreak version of iOS 5.1 not to update to iOS 5.1.1 as it could potentially ruin jailbreak tweaks and settings, PhonesReviews reports. Apple's third-generation tablet, announced in March, sports a gorgeous 9.7-inch retina display, which boasts an impressive 2048 x 1536p resolution. The slate also comes loaded with an array of other specs and features including an A5X dual-core processor, quad-core CPU graphics chip, a 5MP snapper and HD 1080p video recording capabilities. At 9.4mm thick, it's almost 1mm chunkier than its predecessor, the iPad 2.